Anyone interested in learning more about basic sea turtle identification and conservation should enroll in this course. You will also learn about actions to protect sea turtles on both a local and global scale. If you’re at least 10 years old and an Open Water Diver or higher, you can enroll in the AWARE – Sea Turtle Awareness course. 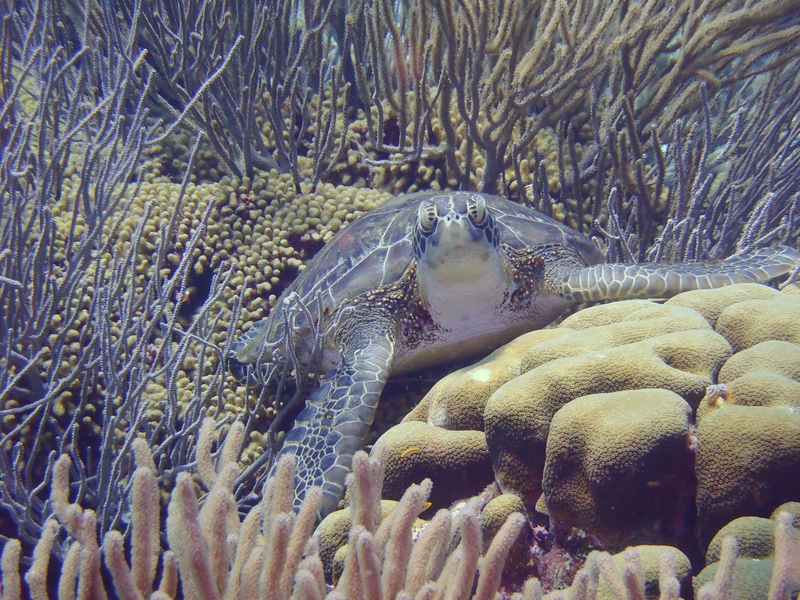 During two dives usually completed in one day, you’ll learn unique physical attributes of sea turtles and their importance to the marine ecosystem, how to recognize and mitigate major threats and hazards, demonstrate appropriate diving practices and behaviors to minimize negative environmental effects, and about Project AWARE activities that can help protect aquatic life. In preparation for this course, you may want to obtain and review the AWARE Sea Turtle Identification key and Project AWARE Ten Ways a Diver Can Protect the Underwater Environment (all available at the projectaware.org website). Beyond using basic scuba equipment, you’ll want a dive slate and a turtle identification card.